Albatros Tournament Systems as a guarantee of success. Golfing without tournaments woud be just half the fun. Like almost all areas of modern golfing, the organization and implementation of tournaments are subject to constant change. Inspiring Systems for Tournaments and Ranking Lists. Albatros has identified this early and has offered a web-based system for tournament management since 2004. In cooperation with several golf federations, a unique and effective web-based tournament system has been developed over the past years. The advantage of these systems is obvious. Golf federations can organize and evaluate national amateur tournaments independently from the administration software installed by clubs. Scores and results as well as rankings are available nationwide and in real time. A direct publication on any desired website is possible at the touch of a button. 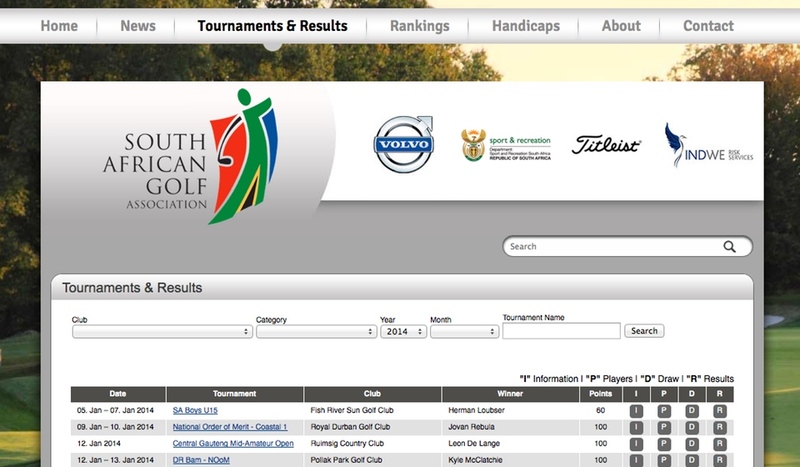 Thus, media partners can be involved or the federation’s own website can be used to display results and reports. 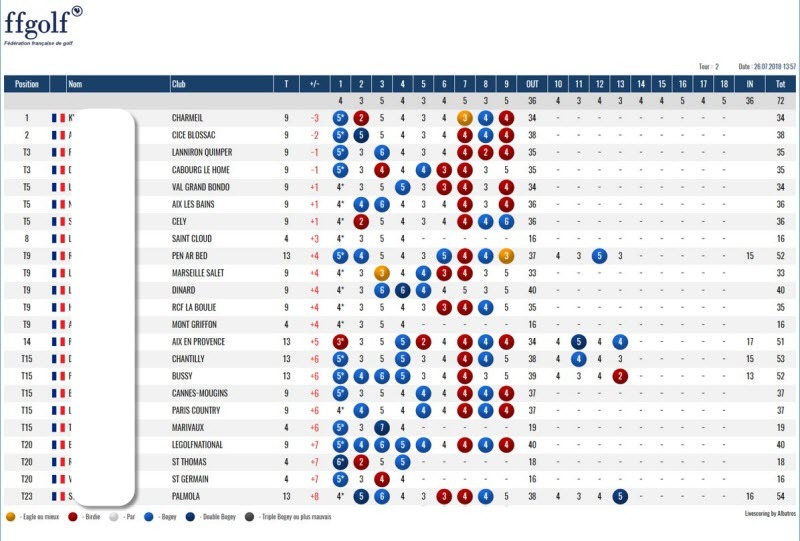 In addition, the system offers a score logging on the course via Blackberry handheld devices or tablet pcs which allows for a simple but highly professional implementation of modern livescoring. These new functions are extremely attractive for federations and sponsors. The coupling with smartphone apps for Android and iPhone can be taken for granted and enjoys popularity as a complementary communication tool. In combination with the existing XML interface, an overall package which allows for a professional tournament marketing for instance at TV stations, comes into existence. The Bavarian Golf Association have set new standards in this area. The French (FFG) and the South African (SAGA) tournament systems also reveal contemporary possibilities and expectations in the field of tournament systems. Rely on Albatros Datenservice to implement your federation’s tournaments and contact us for further information. The French Golf Federation (FFG), a close cooperation partner, has been working with the Albatros web-based tournament system for many years. Since 2014, all amateur tournaments of FFG been realized via the system. 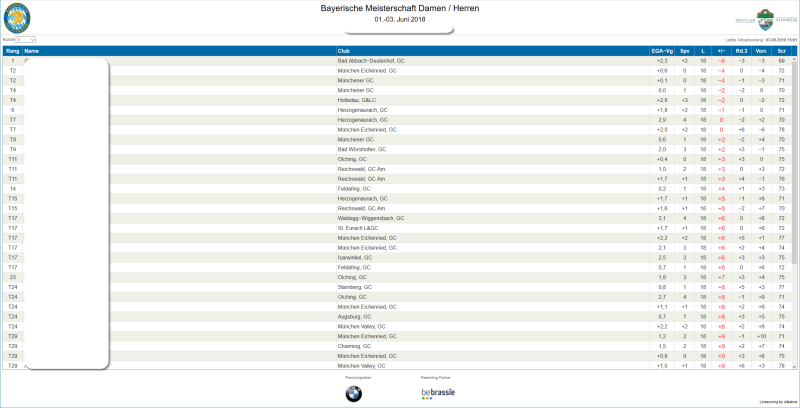 For many years, the Bavarian Golf Association (BGV) has been successfully employing the Albatros web-based system to realize amateur tournaments across the country. In the case of highlight tournaments, livescoring is used as well and scores are transferred from the course via Blackberries, iPads, and the modern Albatros Scoring-Apps. You are either looking for an efficient tournament system or currently in the planning phase for a new tournament series? Call us and benefit from our experience – free of charge and without obligations.